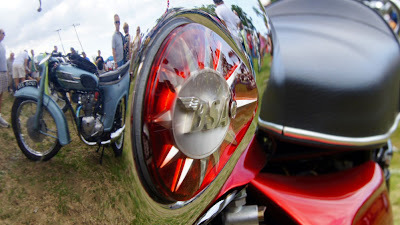 Unshiny Triumph caught in the gleaming reflection of a BSA tank. 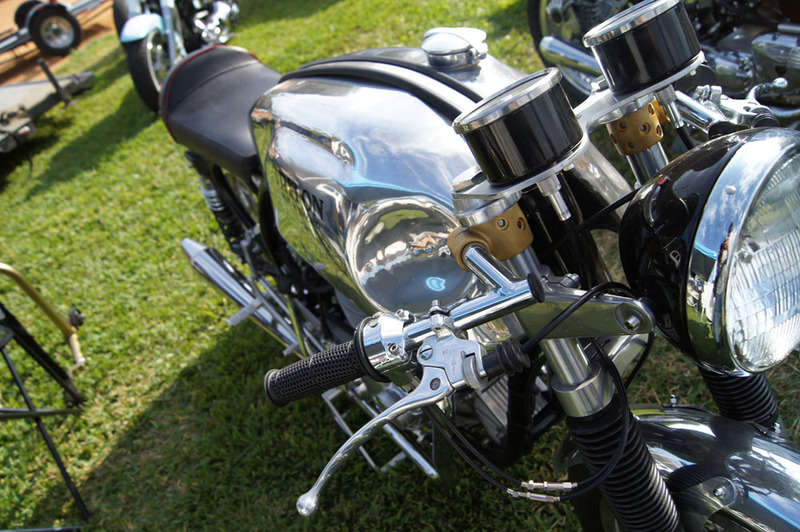 The 2012 Dania Beach Vintage Motorcycle Show looked outstanding this year. I say "looked" because I couldn't go, although I made it last year. I'm seeing the 2012 show along with you here, through photographs by Kenneth Maginnity. He's the private chef aboard one of the great white yachts that visits Fort Lauderdale this time of year. But not for much longer. No mistaking this brand. It's an Indian. This year he plans to ride a restored 1965 Royal Enfield Bullet 3,500 miles through India, to the top of the world and into Kashmir. He'll do it for the adventure and also to raise money for the organization End Poverty, which conducts micro-financing to aid the poor. 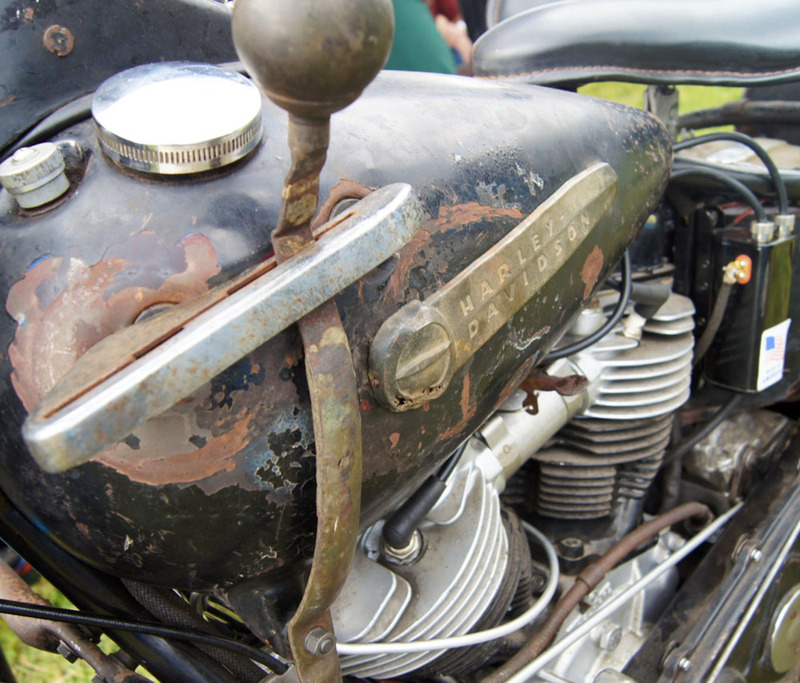 Learn more about it on his website, India on an Enfield. 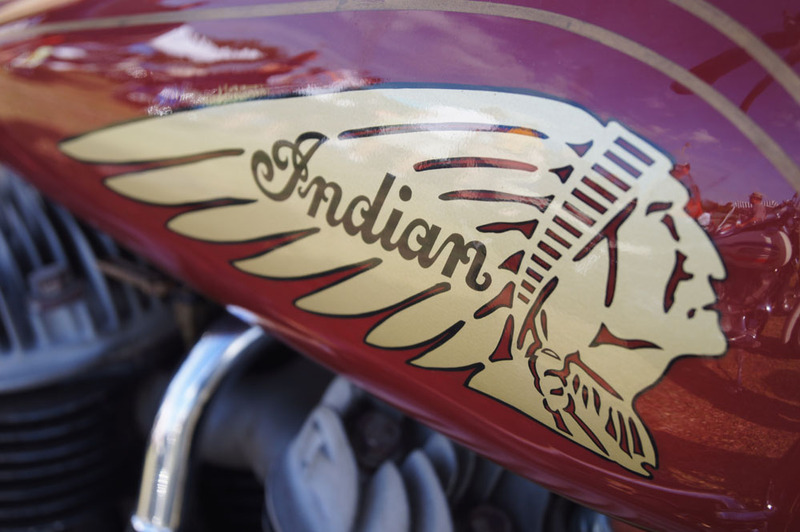 This Indian honors the Boozefighters of old. Kenneth's pictures are great and his taste in subjects seems surprisingly like mine. Triton, (Triumph motor, Norton frame) looks the pinnacle of perfection. When it comes to motorcycles we all seem to love 'em shiny — unless they're old, beat up and as lived in as an old pair of loafers. 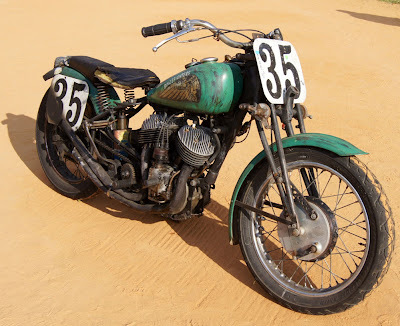 Harley-Davidson with tank shift looks as though it has been there and back.